I’m really not a ghoul, but I do have a strong fascination for old cemeteries. Whenever we travel, I’m on the lookout for old burial grounds. I can’t resist the stories and always find unusual carvings or monuments. Magnolia Cemetery in Charleston, South Carolina is an especially interesting one. The setting features a lake, huge trees laced in Spanish moss, and abundant wildlife. Birds and small animals wander freely. Many Civil War soldiers, as well as the crew of the Hunley submarine, keep company with the city’s founding families . The delicate ironwork fences and ornate gates made me think about using their designs in a quilt. (But that’s another post.) The pyramid captured my imagination and with the shadowing palm trees, I could almost believe I’d been transported to Egypt. 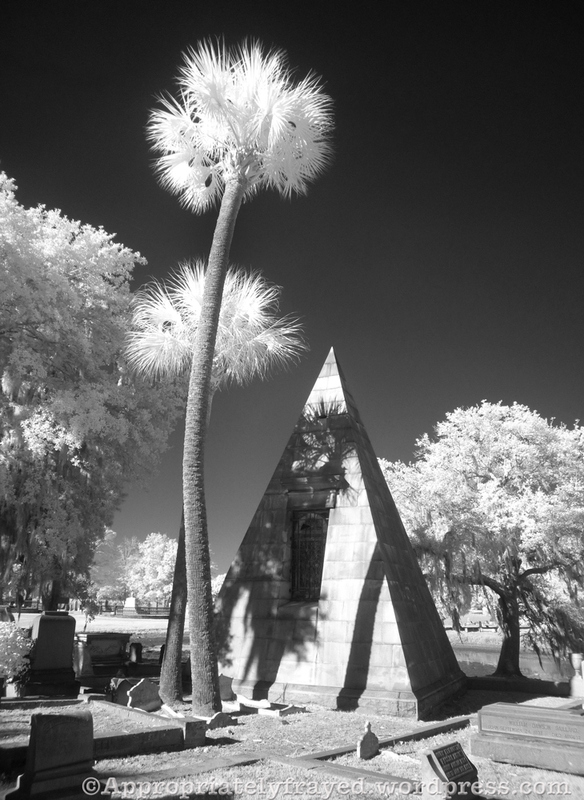 This entry was posted on Monday, January 7th, 2013 at 9:59 pm	and tagged with Cemeteries, cemetery., Charleston, Death, Egypt, Hunley, infrared, Magnolia Cemetery, photography, photos, pyramid, South Carolina and posted in Photographs, Road Trips. You can follow any responses to this entry through the RSS 2.0 feed. Oh my goodness! That is stunning! I am also not a ghoul and love to photograph/visit cemeteries! There are so many beautiful old stones/stories to be found in the marble and granite here in Vermont. Oh , do you have the ones with the light bulb shaped skeleton heads? Vermont is home to so many beautiful places! I’d love to spend time just wandering through the cemeteries there too. The stories make you cry and laugh. Some just make you wonder. Thanks for stopping by. Next time I’m up that way I’ll need to check them out. I have photos somewhere of some I saw in Massachusetts. They are so primitive and real looking.Glad you stopped by. I love the IR too! It always gives me another way to look at things. 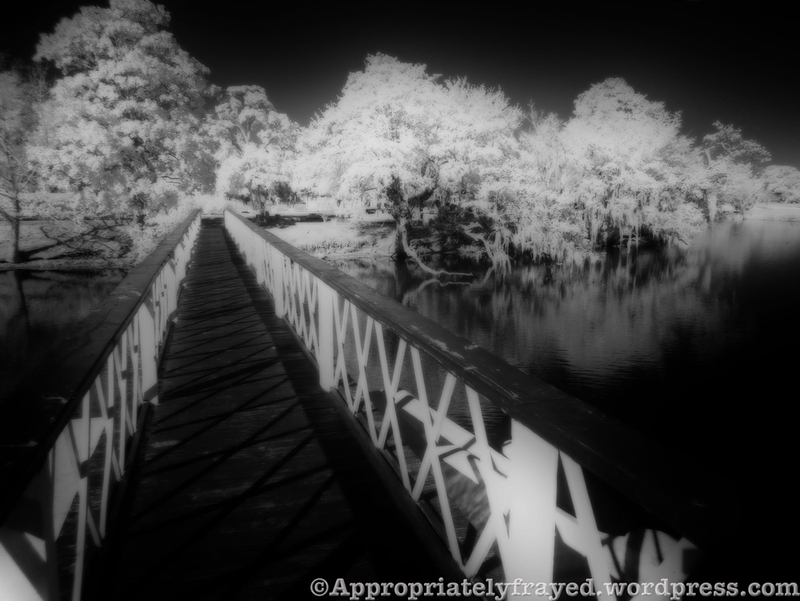 Nice shots – is that an infrared post processing effect?